Overlake offers a comprehensive music program for students in grades 5-12, including choir, band, and orchestra courses. Musical groups have opportunities to visit and perform at festivals and musical venues, both nationally and internationally. In addition to our public concert series, the Middle and Upper School choirs perform at school assemblies, Grandparents/Special Friends Days. In addition, Overlake singers compete in a variety of local and state competitions. Overlake offers a wide range of band programs, from introductory classes to chamber orchestra to jazz band. 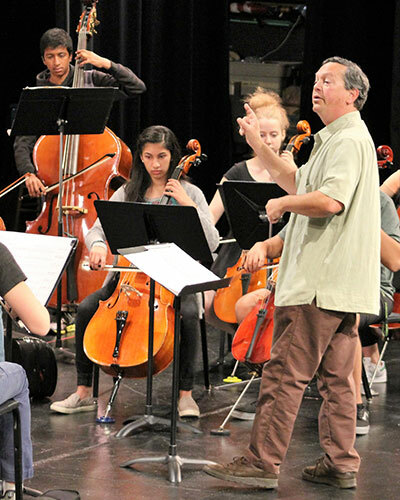 Overlake musicians also compete in a variety of local and state competitions. From before the footlights to behind the scenes, from classes to extracurricular activities, and from classic musicals to student-created dramatic works, students of all levels of interest and experience can find a niche in Overlake’s theater program. Overlake thespians also compete in a variety of local and state competitions. 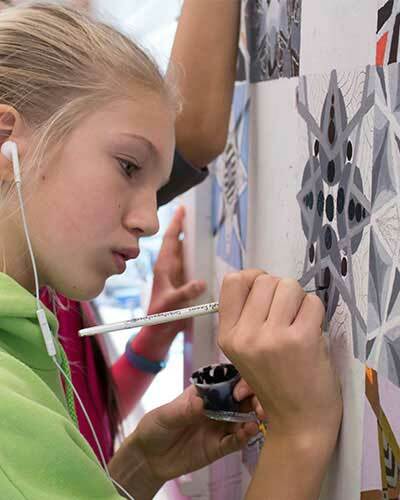 Visual arts courses at Overlake range from studio courses to art history to photography and experimental design. Students may see their art works displayed around campus in our outdoor gallery, at the Campus Center, or in the Fulton Performing Arts Center.